BELLE Construction were crowned champions after a tense final game of the season. Saints had the first centre but had to fight hard to get the ball to GA Linzi Gardner, who was waiting to convert. Belle’s fast-paced play gave them an edge, and they soon gained a small lead. Consistently accurate interceptions from Belle’s GD Jane Dunford prevented Saints from levelling. Saints continued to fight for every ball, but Belle’s fierce determination shone through and allowed them to push further ahead. Belle’s GA Jess Baker worked tirelessly to secure points for her team. Belle dominated the third quarter with an impressive string of goals, despite the efforts of Saints’ Lauren Banks (GD) and Steph Nation (GK). Saints made some tactical changes in a bid to even out the score, but Belle were on point, making the most of every scoring opportunity to earn a strong victory and the top-flight honours. WATERSIDE sealed third spot as their season came to a close. The high-flyers made an impressive start, with superb tactical play from WA Sammy Whiskas. O JOs’ players communicated well, allowing them to get the ball down the court effectively. At the end of this closely-matched quarter, Waterside were ahead with a score of 12-11. Play remained highly-competitive in the middle quarters. O JOs’ effective communication continued in the mid-court, especially from C Kathy Sims allowing them to feed the ball to GS Mandy Grafton, who did not miss a single shot. Waterside upped their defence to secure several interceptions and increase their lead slightly. The third quarter saw more determined play from Waterside, with exceptional ball control form C Emily Rendal to further increase their lead going into the final quarter. Waterside dominated the court in the final quarter, allowing them to claim a well-fought victory. CRESTA convincingly beat basement side Allways Removals. Leisure started strongly, moving the ball effortlessly down the court to gain an early lead. Allways fought back with excellent defensive pressure from GK Sam Shrewbridge to keep the score close going into the second quarter. Allways came back fighting to level the scores – some well-timed interceptions limited Cresta’s scoring opportunities and allowed Allways to nudge ahead slightly. Allways continued to dominate at the start of the third quarter with strong attacking play. Cresta showed their determination, however, with defending duo Alison Spearing (GD) and June Reed (GK) working well to execute interceptions and allow their team to regain the lead. Cresta came back with renewed energy to increase their lead. Allways made some tactical changes to their attack, however, Cresta remained undeterred. Despite some impressive shooting from Allways’ GS Henni Green, Cresta kept a tight grip on their lead and claimed the victory. CAFÉ Oasis made a great start to their final league match, with fantastic interceptions from GD Tasha Reed, to secure turnovers and impressive shooting from GS Candice Barton to carve out a convincing lead. Basepoint found their rhythm in the second quarter to claw back some points – however, Oasis remained calm and increased their lead, thanks to exceptional use of space in the D by GA Holly Hansford. The third quarter saw evenly-matched play in the mid-court, but Oasis were able to maintain their strong lead. At the end of this well-fought match, Café Oasis’ skill and determination shone through and they emerged triumphant. 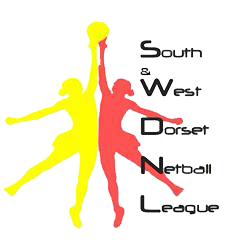 n The South & West Dorset Netball League would like to invite all past and present members to its 40th anniversary presentation evening on October 13 at the Weymouth Pavilion.